"Granny, I'm not 5, my legs are still four year old long." "Mommy, is va-gi-na (real slow) Spanish for hoo-hoo?" ....the dog pooped out that pair of undies. And to add to the issue, there was a sock in there too! He's been known to eat socks before, but undies? Really? 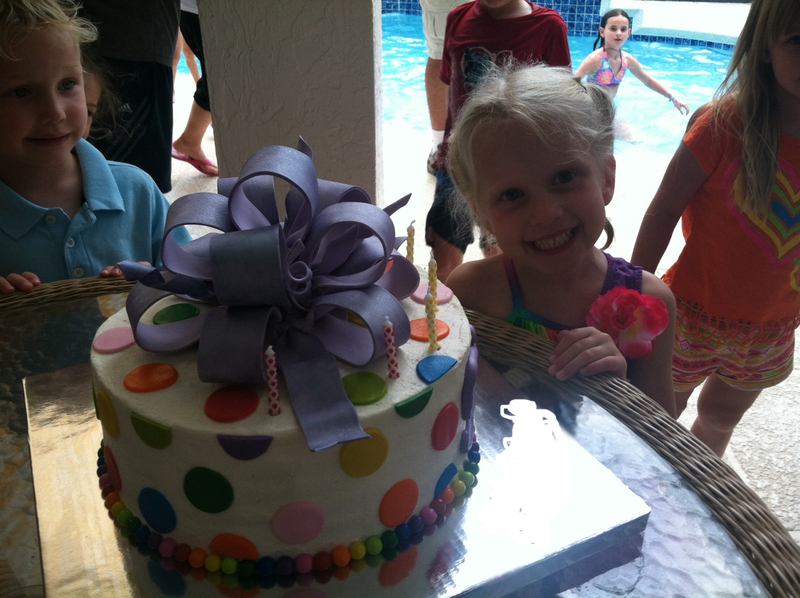 Saturday, we celebrated Lallie's big 5th Birthday!! Today is actually the big day (to which Lallie woke up asking if she was any taller. She also asked this on Saturday and cried when she discovered her legs were still the same length). We started out the day opening the family gifts. 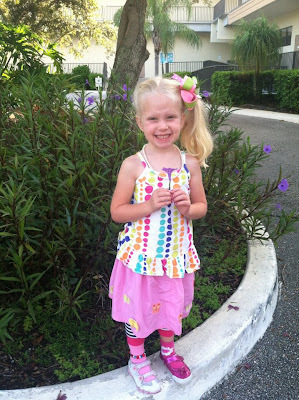 Here's her newest dress-up dress, princess hat and nail polish from Aunt Jess and Uncle Pat. A true girly girl! I love this picture. Lallie received a wedding dress outfit from Husband and I. She has LIVED in this dress since she opened it (whenever we're home and the veil to dinner last night). She has already started planning her wedding, asking if she can wear my dress and if I will make her flower girl dresses like Ashleigh's wedding. The red thing is a crab pool float from one of her friends. And the inside of the amazing rainbow cake!!! And it tasted even better than it looks! This was made by a good friend of mine that owns a cake shop and she is just so talented! We had to take 20 pictures before we could even eat it! It was hot, hot, hot so we ordered a snow cone machine! We also had a bounce house and the kids loved it! They were in and out of the pool and bounce house all afternoon. Snow cone central. Thanks Husband! (He must have spent an hour making them for the kids). 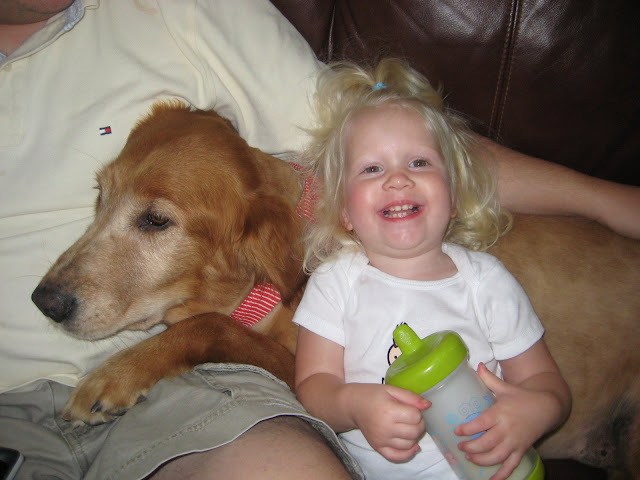 That night, the family went out to dinner at an Italian restaurant where Lallie was serenaded with Happy Birthday. Our last night with the family, one the way home from dinner. It was a great weekend! We missed my family, Ashleigh and Matt, but they were all here with us in spirit. Here are the before pictures of the guest bathroom. This is the one room in the house that I desperately despise. I dislike the tile, the color, the cabinets...I don't like any of it. The worst though was the wallpaper. I couldn't stand the icky brown and gold colors (though I do love palm trees....just not in this color combination) and am so glad that it's GONE! I think I told you before that the paper was in bad shape too, peeling and water damaged. It was just a hot mess. So, we did a quick remodel. Sunday, we removed the wallpaper. Monday, Husband did some drywall (as the wallpaper made a mess of the walls) and primed. Tuesday, Husband finalized the drywall and priming and we painted (I cut in, Husband rolls). Wednesday, we cleaned up, put in the new light fixture and re-hung the medicine cabinet, shower curtain and towel racks. 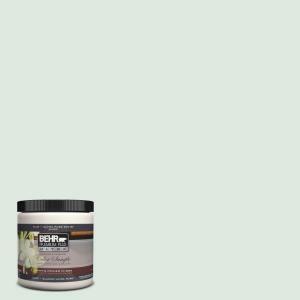 I won't show any AFTER pictures yet because we need to decorate to match the new color scheme (a very light green, very fresh and clean - Behr Meadow Light). For now, with guests coming, we just re-hung everything we already had as a time saver. Already better and brighter! Wallpaper GONE! (See all the teensy, tiny wallpaper pieces on the floor? Easily stripped? Not one bit! Longer term plans include removing the mirror and replacing it with a wall hanging mirror and eventually, replacing the cabinet, tile and toilet but those are down the road. The tub is ceramic so I don't see us ever replacing it. At least with the new green, I don't severely dislike the cabinet and tile. They look more cream colored than beige now so we are happy campers! Now, here's a question. See that large section of wall above the toilet? Husband wants to put a stencil of some sort there (maybe a palm tree, sticking to that decor). I'm resisting this idea but do know that stencils are big in decorating right now. What do you think? Where would you look for a stencil? What would you suggest? In other news, Lallie had Silly Day at school a few days ago. This is the outfit she picked, complete with a french braid on one side of her hair and a pony tail with a big bow on the other. She won the prize for Silliest Dresser. :-) (The sun was in her face, thus the severe squint). I think this picture is hilarious. This is on the way home from Silly Day in her Silly Hat. Lastly - I started working on my next $100 Makeover project....my closet! Anyways, look what I found!!! My old Express jean jacket from the 90's! Yahoo! Everyone is back into the jean jacket craze and I just purchased one for Lallie for this coming fall. I have been wanting to buy one, but now I don't have to! Yay! Wow! 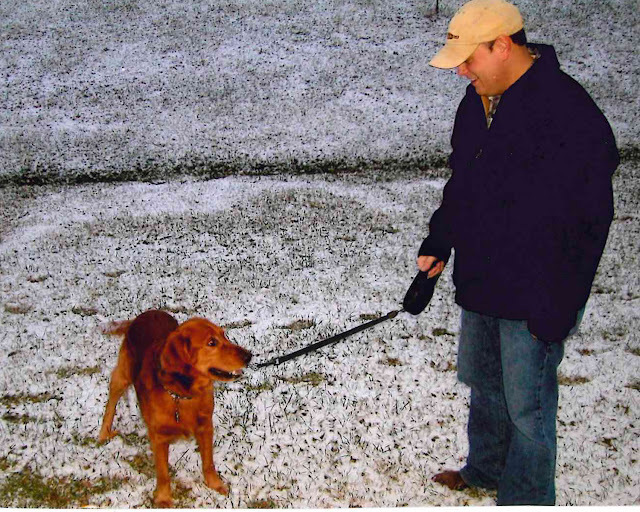 I cannot believe the outpouring love for our Mr. Dog a/k/a U.K. I certainly appreciate it! It's amazing how (dog lover or not) these animals become a part of the family. Last night, even though it was annoying the daylights out of me, I thought to myself how much I really do enjoy having U.K. at my heels as I clear the dinner table, hoping that he would get a scrap or two. I would miss Lallie's big smile as she feeds U.K. those desired scraps. I would miss U.K.'s special trick, the hug. U.K. can't jump up and do this anymore but if Husband is sitting on the floor and you say "U.K. hug" he comes over and leans up against you so hard that you almost fall over. He's giving us genuine hugs! Anyways, on to the diagnosis. The vet says I was freaking out a bit. That U.K. is very healthy given his age and this is just par for the course as he gets older. He gave us pain pills however, I wouldn't know when to give them to him. 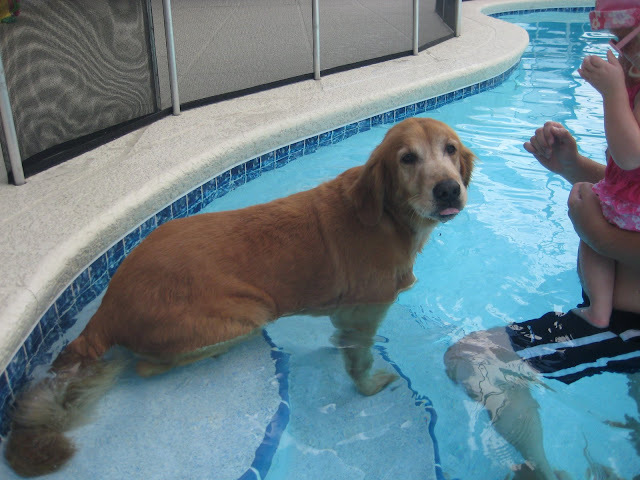 He's always smiling and wagging his tail, pain or not! 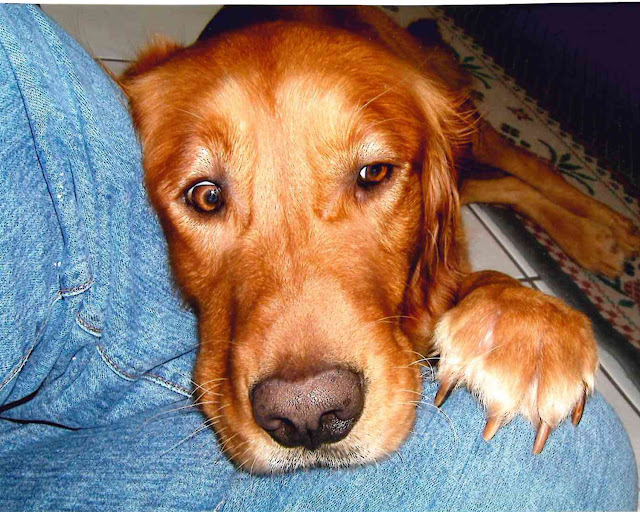 The above being said, both bloggers and friends in real life have told me that this is common as goldens get older and are nearing the end (pains me to say that). I'm sorry, but if it were Husband or Lallie that suddenly couldn't get up and acted paralyzed, I'd be worried and totally freaked out. But then it got me to thinking about what it's like for older people (my grandparents, our elders). Is this what it's like when you're body just doesn't work anymore? You have a hard time getting out of the chair and then something just won't move like it's meant? I mean I know that's true and that is what actually happens, but you don't really think about it in depth until you actually live with someone (or some-dog) in that situation. The main thing, Mr. Dog is doing fine, he's just plain old. Still makes me sad though. 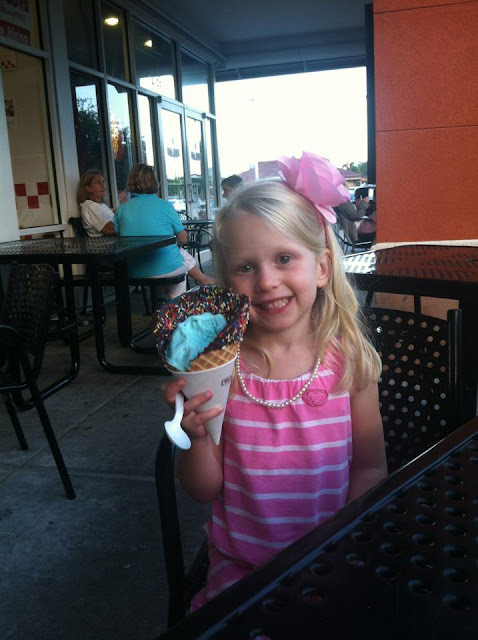 This past Saturday, Lallie and I had a Mommy-Daughter date. We went shopping at the mall, stopping by Target on the way home for birthday party supplies for next Saturday and then we went out to lunch. That afternoon, we stopped by the library. Lallie LOVES the library and came home with a whopping twelve books! She LOVES to read! After we got home, we went swimming for a while and then some friends stopped by for a little visit. Saturday night, we stopped by Home Depot (more on that below) and then stopped by a local fish joint for some of the best fish tacos I've ever had! Back to the Home Depot trip. Saturday night, Husband and I decided to do a last minute home improvement project. Of course, in our household, it wouldn't be a home improvement project unless it was done on-the-fly, one week before the family arrives! Yes we do. We ALWAYS manage to get ourselves into something major (and something in which the guests would so desperately need while visiting) just a few days before my parents, his parents, his brother, Ashleigh....any of them come to visit! The last time we re-did a guest bathroom, it was just a few weeks before Ashleigh was coming to visit in our old house. Except with that bathroom, we ripped everything out, right down to the stud walls and started over with new fixtures and everything. That was fun! It's like a newborn baby. New mothers always find themselves in a similar situation. "Oh no, baby is getting tired and ready to go down for a nap....so....I better....empty the dishwasher, start a load of laundry, sweep the floors, clean out the fridge, start on dinner and fix my hair.....before the baby goes down." That's us, but with home improvements projects. "Oh no, the family is coming....so.....we'd better...... strip down the wallpaper in the guest bathroom, drywall, paint and re-decorate and we'd better hurry because they'll be here in four days!" Did I forget to mention that we both work full time? (and I don't do drywall....thank goodness Husband does!)? So yesterday, we scored the paper, removed it, removed the backing and Husband started working on drywall repairs. We want to paint rather than re-install new wallpaper, so he needed to smooth out the walls and put on some fresh drywall mud. We've never removed wallpaper before so we were learning as we went. For this tiny room, it took three hours to remove the wallpaper. What was Lallie doing during all of this? Watching a movie (since it was raining outside) and playing princesses. Here's a picture of her taking a break and eating a healthy snack (wheat tortillas cut up into triangles, sprayed with olive oil spray and baked for 15 minutes.....just a little aside there). Yes, that is a doll stroller. I'm looking forward to showing you the before and after pictures! I left my camera at home, so you'll get the before pictures tomorrow. I know I said my closet would be the first in the $100 Makeover series, but that's taking a little longer to organize than I thought! Even though the bathroom is more labor intensive, it's not as much organization, so that's up first! I love to read. I think it drives Lallie and Husband nuts because I almost always have a book in hand. I also think it's part of the reason Lallie loves to read so much. I do have a Kindle but even the savings from owning it would still cost a small fortune, so I try to use the library when possible. I don't have a category or theme that I keep to. I read across the spectrum, all different types of authors, rarely reading the same author multiple times (unless it's a series like The Hunger Games or Hex Hall). Don't get me wrong, I do have a select few favorite authors but I find myself getting bored with the same style of writing if I read more than one or two books in a row. So I take author breaks. Here's a few books I've read over the past couple of years. Significant enough for me to post about them because I could rattle off the story to you in great detail even after quite some time (and quite a few subsequent books). Some books you read and forget. These made an impression. Before I move on, I am a victim of this. Are you? I am currently reading 11/22/63 and can't put it down. I would have probably read the 800+ page book in one sitting if haven't been so busy the past two weeks. 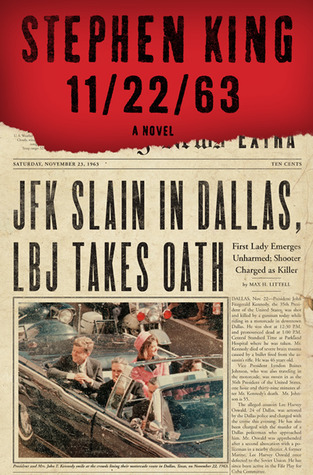 I've never read Stephen King and this is not one of his horror books but rather about a man that travels back in time to stop the murder of John F. Kennedy and his life leading up to the moment. The writing is phenomenal! 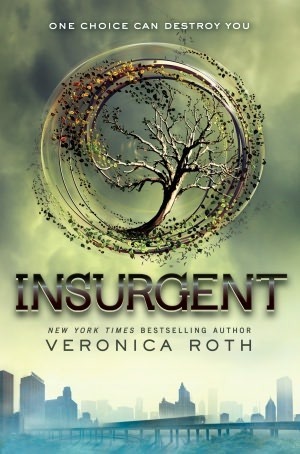 I'm sure everyone is reading Divergent and Insurgent and if you have, you're probably thinking "Man, now I have to wait a year for the final book to debut!" 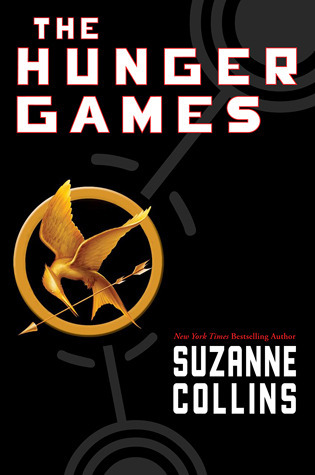 Like Hunger Games, it's an American-alternate reality book that takes place in Chicago and centers around the life of teenagers. I'm sure this is a book to be discussed in many classrooms! I love Diane Chamberlain. Her books have so many twists and turns and while there is some predictability, you're usually thrown an extra loop or two to make you say "Oh, wow!" Her books generally center around sister and mother-daughter relationships and while the story lines might cause a bit of shock, the relationships themselves are usually quite normal and what you might see in everyday life. 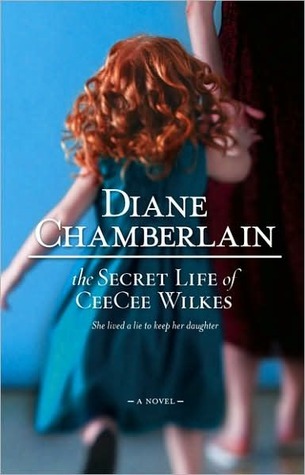 My favorite are The Secret Life of CeeCee Wilkes and The Midwife's Confession. I also read The Lies We Told, but it wasn't my favorite of Chamberlain's books. Bergdorf Blondes. This book is hilarious! I loved it! I took me a few chapters to get used to the style of writing but it was just so over-the-top, I just loved it. A great beach read, especially for those of us that find the socialite lifestyle....what's the work....intriguing? 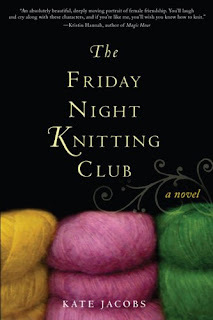 The Friday Night Knitting Club is one of the only two books I've ever read in which I cried. And I mean a good, soaking, long-winded cry. 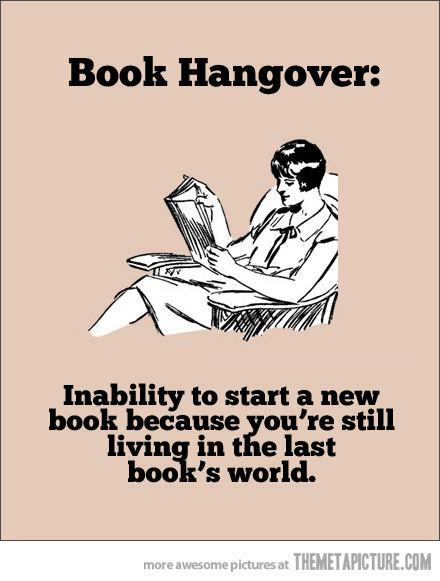 I tend to shed tears during movies (and even commercials), but never a book. This one made me cry. 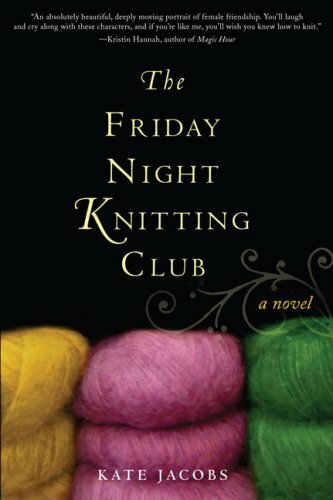 A fabulous read about a group of women from all different backgrounds and ages coming together to knit and forming relationships that last a lifetime. The other book that made me cry, you might ask? 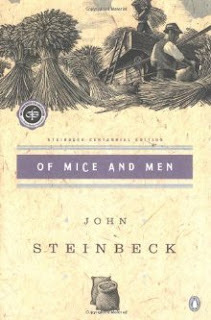 Of Mice and Men. If you didn't cry like a baby when you read this book, then I'm quite frankly really, really surprised. I cry whenever I read scenes in other books based on this book! A classic for sure. I love Elin Hilderbrand. I could read all her books (over the course of several years because again, I can't read the same author over and over again in a row). 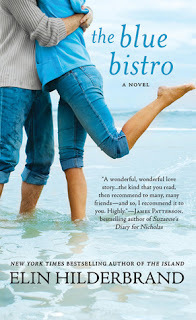 The Blue Bistro is probably my favorite of all her books. Anytime you combine cooking, romance and Nantucket, you'll be sure to win my heart. In this one, you could practically smell the soft shell crabs wafting up through the pages and Nantucket is on my bucket list of places to visit. Wow, what an interesting book. Not to mention, the author, Taylor Stevens is a very interesting person, you should read up on her as well. 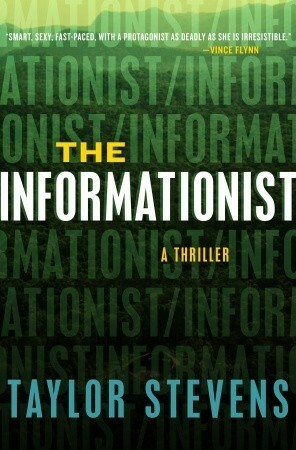 The Informationist takes a mentally and emotionally depleted Vanessa Monroe on an investigative trip to Africa to search for a Texas millionaire's daughter. She herself is running away from a past traumatic experience which eventually comes back to haunt her during her African tour. With similar capacities to deal with sensitive information as Lisbeth in Girl with the Dragon Tattoo, Vanessa takes us on a fast-paced journey through her life and the life of her client. 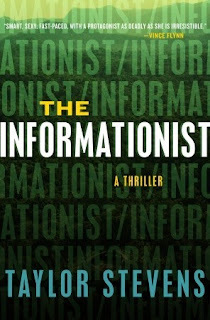 If you love a good action book, this one is for you! I guarantee you'll fly through these books very quickly. So there you have it. If you want to keep up with my reads, visit my little "Books" icon on the top of the page and/or follow along with me on Goodreads. What great books can YOU recommend to me?